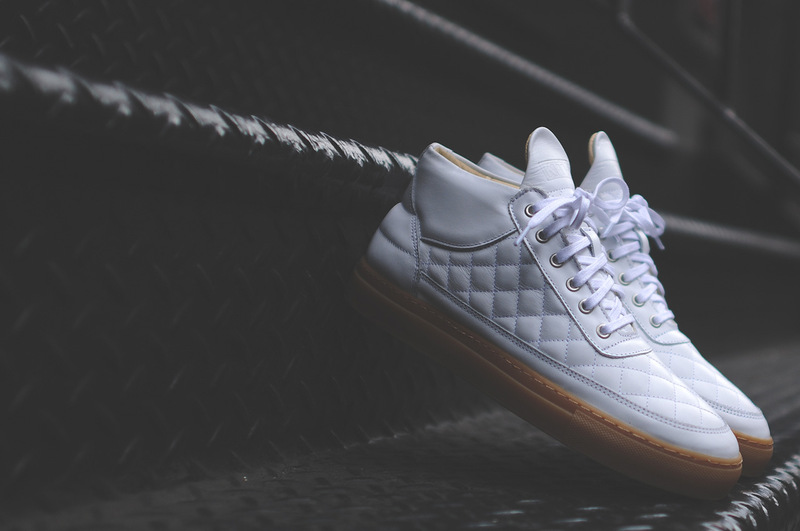 Ronnie Fieg and Filling Pieces offer a preview of their collaborative Quilted RF-Mid silhouette. 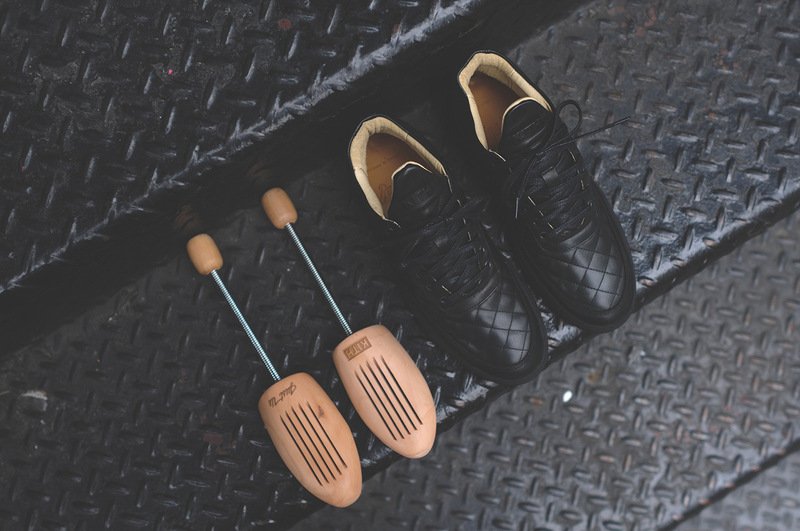 Handmade in Portugal, the shoe features a quilted leather upper with a smooth leather midsole, heel and long tongue with an embossed logo. Finishing touches include matching laces, metal eyelets and a rubber outsole with textured foxing. The Quilted RF-Mid is available in three different colourways: black, red and white with a gum outsole. 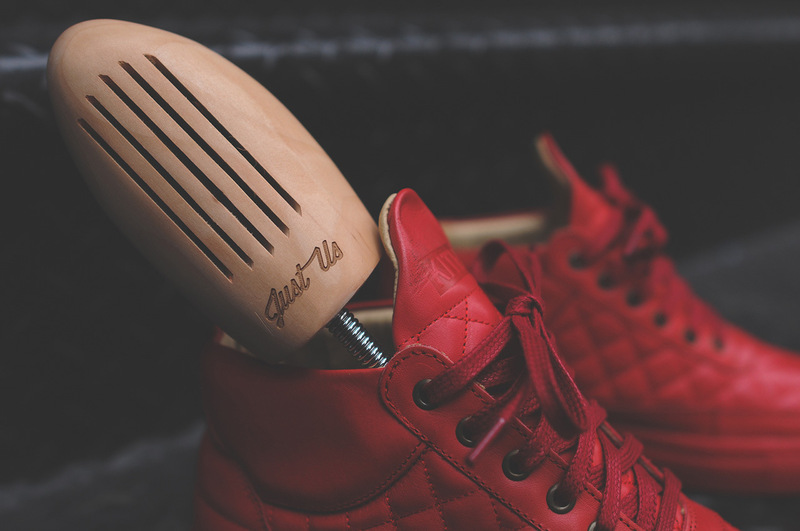 Each colourway is limited to 200 pairs. There are no release details as of yet, so stay tuned for more updates soon.